No fewer than 16,600 children are registered as having lost one or both parents, or primary care-givers to Ebola in Guinea, Liberia and Sierra Leone so far, the United Nations Children’s Fund, UNICEF, has said. The UN body said less than three per cent of this population was placed outside family or community care. This was disclosed in a statement issued by UNICEF’s Regional Director for West and Central Africa, Manuel Fontaine, in New York on Friday. “Since overcoming their initial fears and misconceptions about Ebola virus, families have been showing incredible support, providing care and protection for children whose parents have died. This shows the strength of kinship ties and the extraordinary resilience of communities at a time of great hardship,” Mr. Fontaine said. UNICEF said as of mid-January, nearly 3,600 children had lost both parents to Ebola virus in the three countries, while 16,600 were registered as having lost one or both parents. It stated that the disease also affected primary care-givers. Mr. Fontaine said UNICEF was helping to identify children without parents or caregivers with the view to providing immediate care and protection to them. He said the assistance would either be through extended family members, community members or foster families. In Guinea, for example, UNICEF said all 773 children who lost both parents have been placed with their extended families. It added that children and the families looking after them were regularly given cash and material assistance. Mr. Fontaine said UNICEF had helped in accessing schools for them and providing counselling to support their emotional and psychological well-being. UNICEF said following up children who were in new families was an important focus as they remained emotionally vulnerable. It added that unaccompanied children who may have come into physical contact with a person suffering from Ebola were provided with centre-based care while under observation for 21 days maximum incubation period. 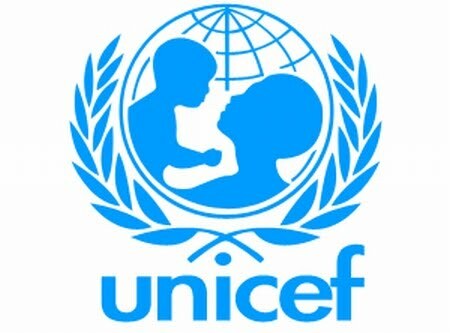 Across the three countries, UNICEF said the total number of such children to date had been just over 250. Out of this, it said over 90 per cent of them were taken into the care of extended family members shortly after the quarantine period. It added that UNICEF had also developed a network of Ebola survivors who have been playing an important role in supporting affected children. It said because they had built up a level of resistance to the disease, survivors can interact with children who were under observation. UNICEF added that identifying vulnerable children and providing services to them had been one of the many challenges faced in responding to the Ebola crisis. “As the Ebola-affected countries head towards recovery, we should take the opportunity to improve child protection services for all vulnerable children. We have a chance to address other forms of vulnerability that existed before the Ebola crisis, such as child marriage, child labour, sexual violence and exploitation,” Mr. Fontaine said.